A box full of books arrives! 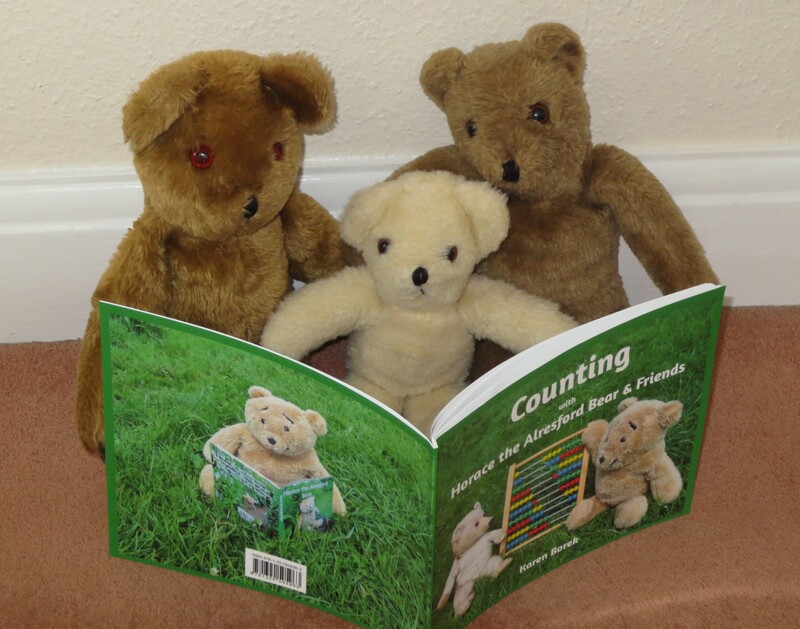 The postman brought a large parcel to our house yesterday, and I was delighted to discover that Karen has finally published ‘Counting with Horace the Alresford Bear & Friends’. It was a year ago that me, Growler and all my other Alresford relations that were living with Karen at that time modelled for a book being made especially for Melvin. Karen had to alter it slightly in order to publish it at a reasonable price (though she thinks it is still a tad expensive really). I must say Growler and I are impressed with the book, and Growler is extremely pleased to be on the front page! It wasn’t long before my relatives found the pile of books and started reading them too. Gordon doesn’t smile as much as me, but he was very proud to be in the book and thought the photo made him look much younger than he really is…. 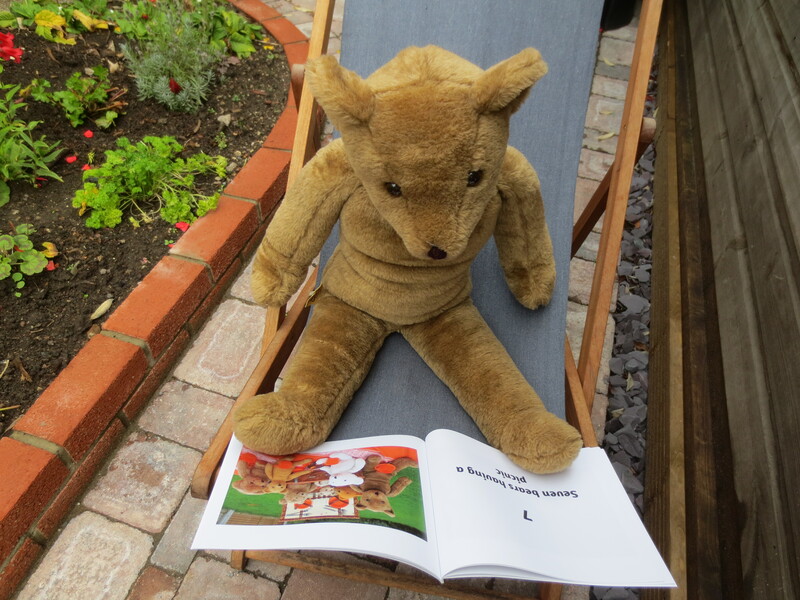 Darcy took the book outside to read and spent ages studying ‘Seven bears having a picnic’. Until seeing the photo she hadn’t realised just how much bigger than the rest of us she is! Bogdon, Sue & Andrew didn’t even wait to find a seat they were so keen to get stuck into the book…. Charles liked the meadow photograph best as it brought back memories of the outing to a local park to take the photo. The other bears don’t go out as often as me! 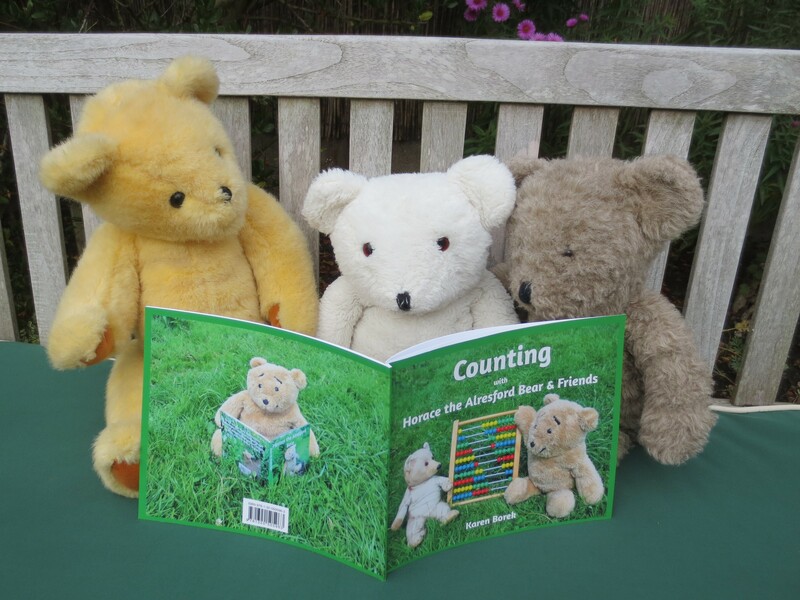 Marigold, William and Albert chose to sit out in the garden too…. 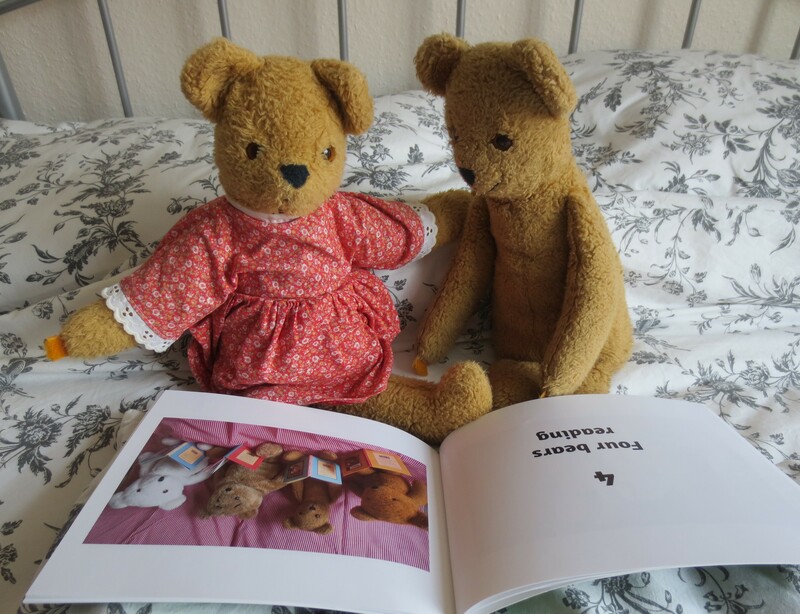 Gilbert enjoyed showing Hester his modelling skills. 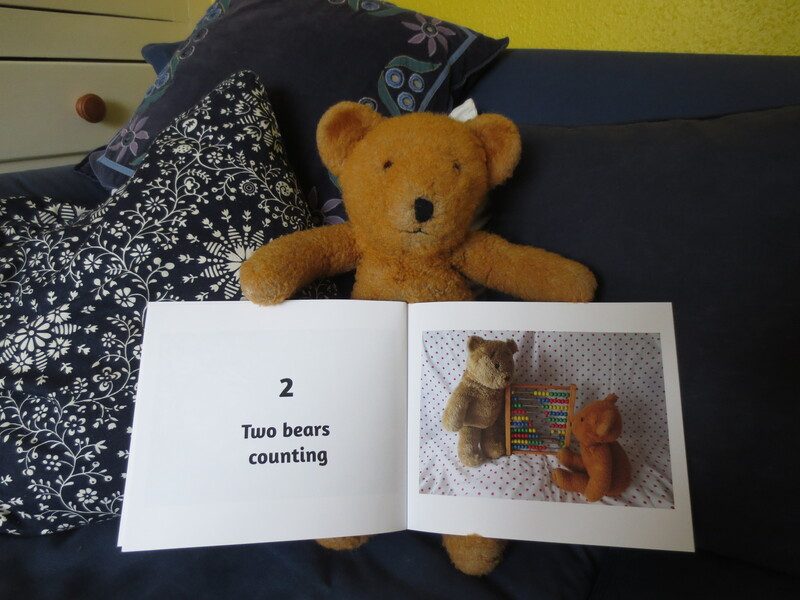 Hester arrived in the post after the book had been written. 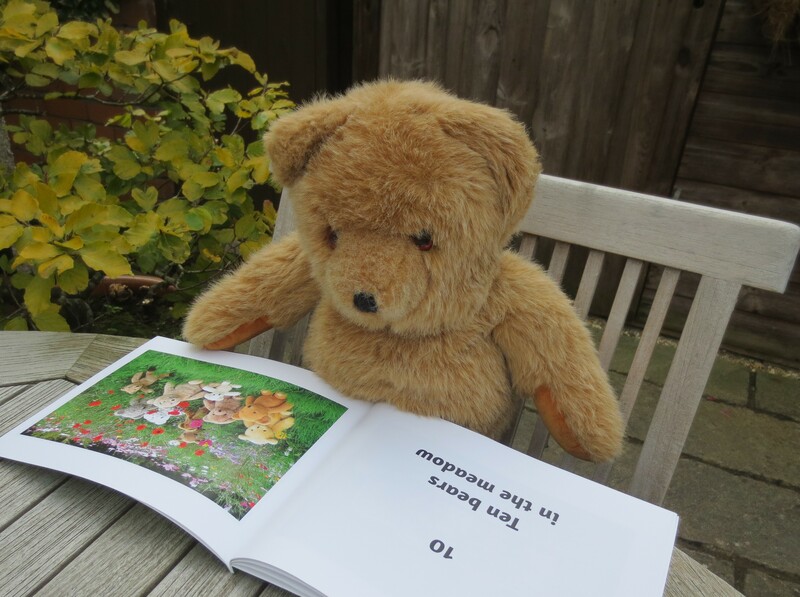 Nye wasn’t sure, he thought he should have been in the book too, but he was still in the USA in someone’s cupboard then! Karen is hoping that some people will buy copies of the book. 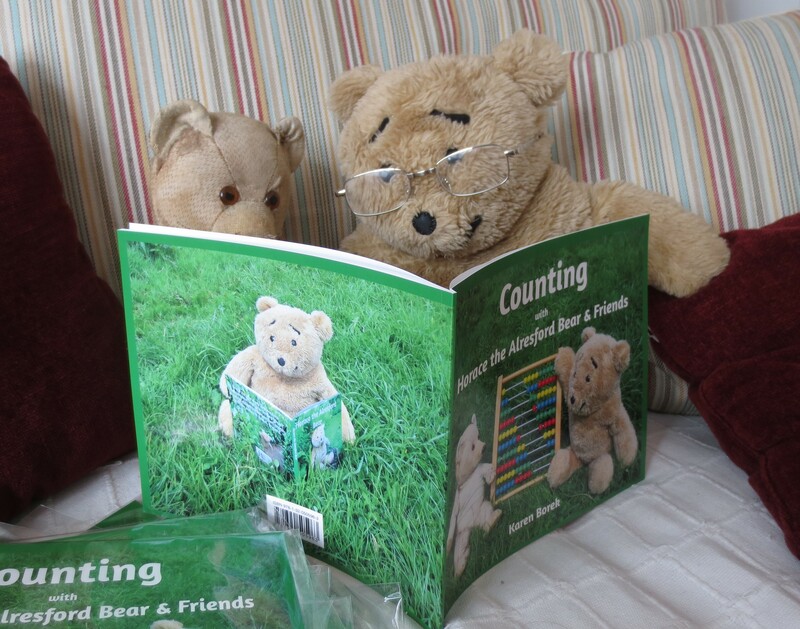 They certainly would make good presents for teddy bear lovers young and old! 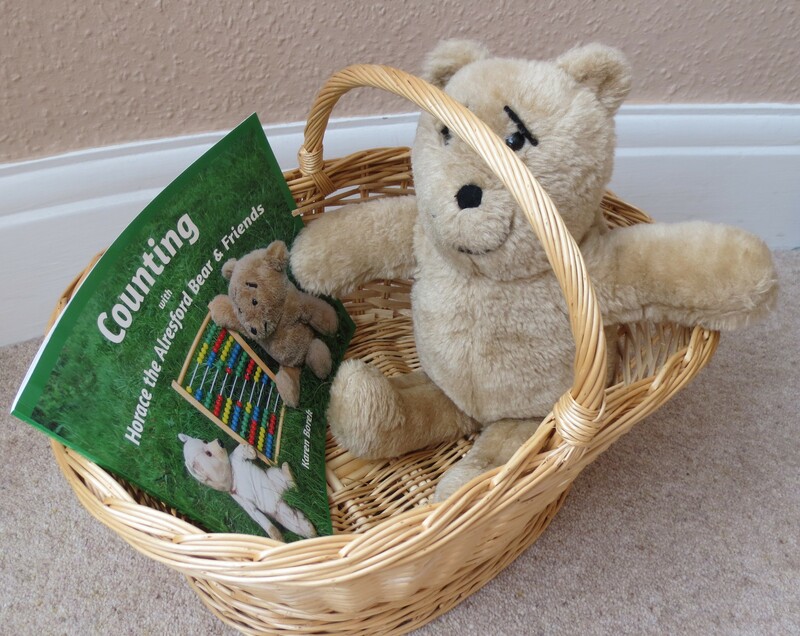 This entry was posted in Uncategorized and tagged alresford bear, counting book, Growler, www.horacethealresfordbear.com by karenlovestodance. Bookmark the permalink.